The following are just a few of the projects we worked on in class. This website was inspired by the One Page Resume Site found at CSS-Tricks.com. I found it a particularly good example for teaching website structure, HTML text formatting, and some basic CSS for text formatting. This site is similar to CodePen.io which I’ve since begin using with students to help them see immediate changes on their sites as they type. The version we coded here is much simpler and requires you to hit the “Run” button in order to display the results in the page frame below the code input fields. 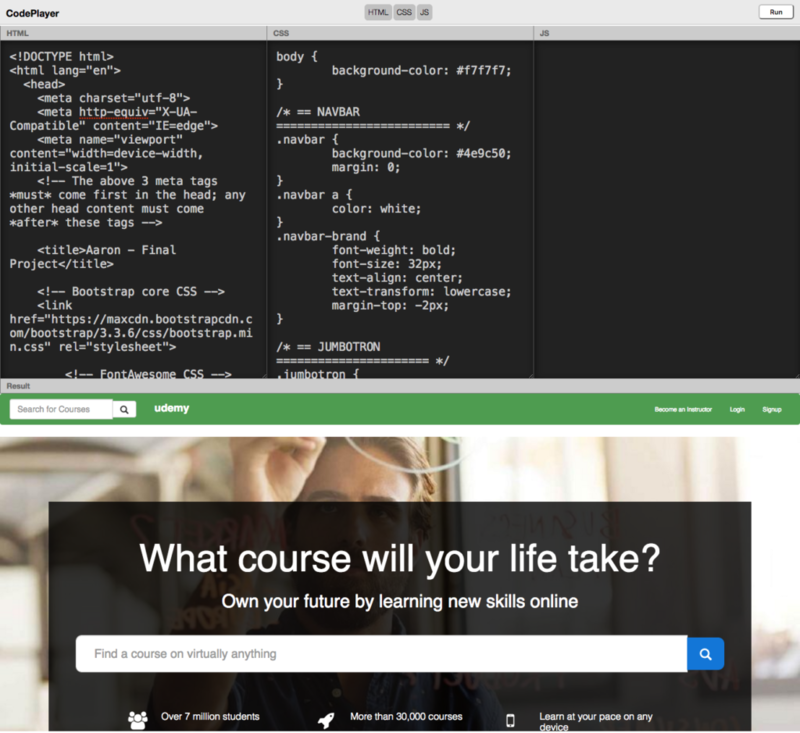 For our final project one semester, after coding 3-4 other sites (including a Landing Page and Blog) using Bootstrap, I chose the Udemy.com home page as a design to copy and learn from. 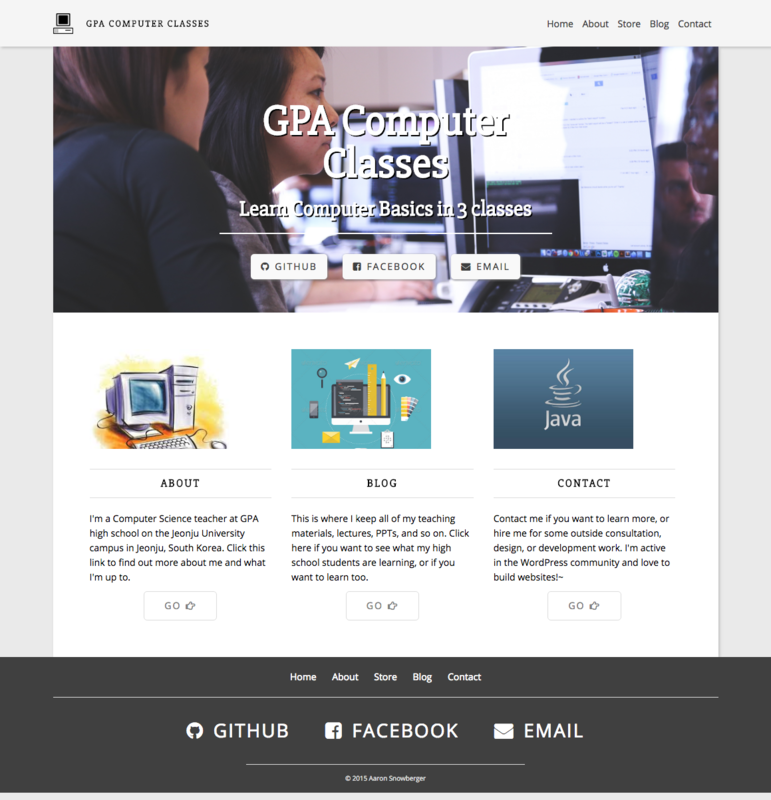 We used the Bootstrap CSS classes and images pulled directly from the Udemy home page at that time to create cloned HTML/CSS site. 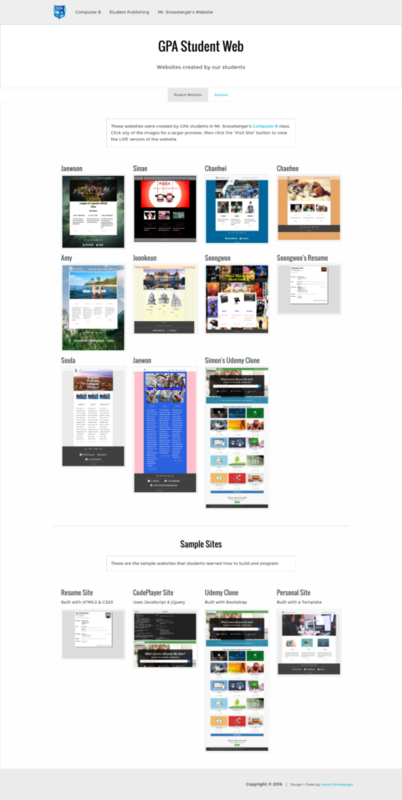 The following are some screenshots from the home pages of each student.